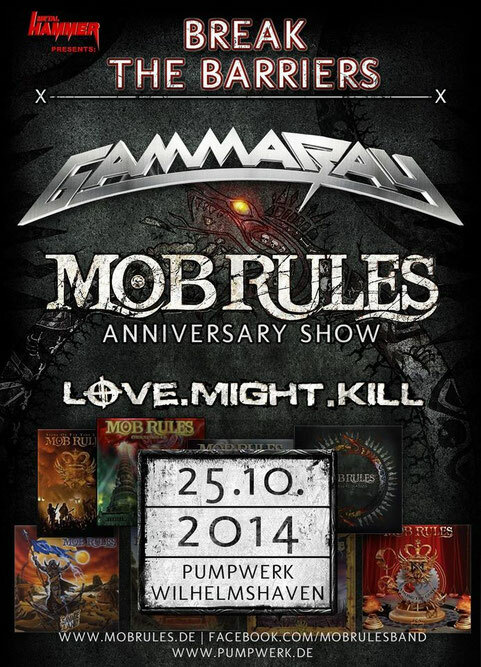 MOB RULES is having now a BAND-CONTEST which gives a band the chance for an opening act at the Break The Barriers Festival which will take place at Pumpwerk Wilhelmshaven in Germany on October 25th. B.O.S.C.H. which we've featured before on our website is also included as a candidate band. Vote for B.O.S.C.H. and make them to play at this festival. 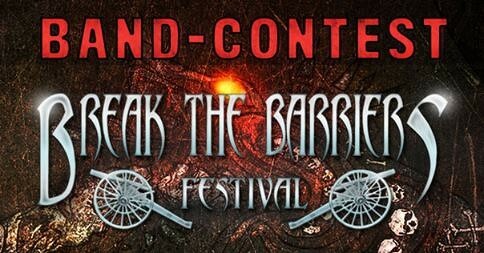 The winner will get a chance to play with Gamma Ray, Mob Rules and Love.Might.Kill at this festival and also an exclusive feature on the METAL HAMMER magazine. Vote HERE on facebook.